The most spectacular places to travel at Winter are much closer than your imagined. Choose a weekend, and enjoy the cold! As time goes by, and global warming continues to heat up the summers, people are coming to appreciate the Winter season more and more. Despite the complaints about the cold, the costs associated with January, the end of Christmas, the rain and the snow, Winter is one of the best seasons to take time and appreciate the beauty of the natural world, and the implacable nature of life itself. Replacing the reds and oranges of Autumn with spotless-white scenery and snowy backdrops that make for the perfect wedding photography, Winter is a truly magical time of the year. This is also mirrored by our response to the season – with our open fires, bright and bold decorative pieces for the Christmas period, and comfort clothing such as huge woolly jumpers and fuzzy socks, Winter feels like a different world entirely. However, why not try pushing the boat out a little further, and truly experience a different world? Here we give you our recommendations for the best European cities to visit at this chilly time of year. Guaranteed to be covered in at least a foot of snow at any given moment in December, and enchanted by the magic of its historic past, Schwangau is a beautiful town in Bavaria, Southern Germany that would be perfect for a short getaway in the latter months of the year. This picturesque place offers beautiful views, enriched by German villages that feed their landscapes, and specialise in creating masterpieces made out of wood, in the traditional Bavarian style. 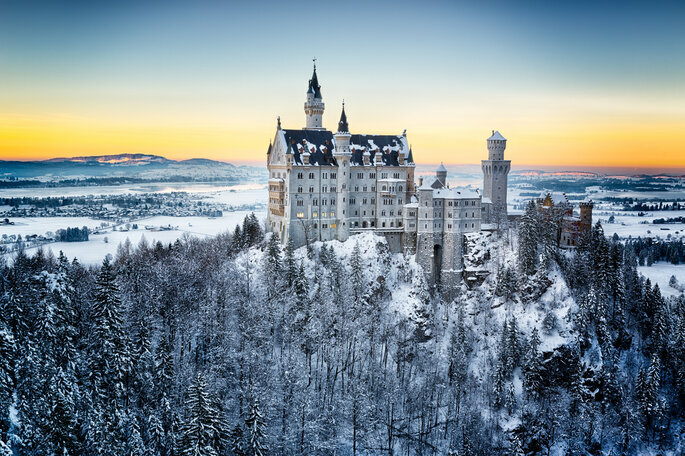 It’s principal attraction is Neuschwanstein Castle, an extraordinary monument that Louis II of Bavaria (known as the “Mad King” by his subjects) commanded to be built in 1866. Stretching up towards the sky, this castle’s tall towers and fairytale features make it appear like something out of a Disney film – we definitely recognise those spires in Beauty and the Beast! For an authentic experience of the German countryside, we really recommend Schwangau! In close proximity to Amsterdam, this small jewel in the heart of Holland is hidden amongst the great European treasures, and brings treats in Winter with splashes of snow and overwhelming character and beauty, showcased in the form of canals and Gothic architecture which take inspiration from the classic styles and facades of the 17th and 18th centuries. This is Amsterdam but on a smaller, less-touristy scale – and so perfect for a quiet getaway! When Winter comes and the canals freeze over, residents and visitors of this tiny town pass the time ice-skating (which is perfectly safe due to how low the temperature drops!). 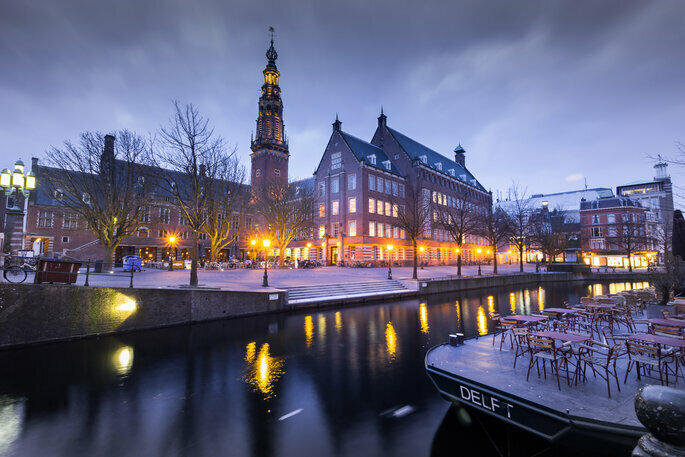 At this time of year there are also concerts, parties and plenty of bustling pubs and restaurants due to the large presence of Dutch and international students. Renowned for the sheer amount of stunning historic palaces and edifices, Sintra – declared a World Heritage Site by UNESCO several decades ago – is located within a huge valley of forests and mountains, flanked on all sides by steep hills, blossoming within nature. Its irregular topography, which hides these breathtaking castles from view, means that you will be able to explore by foot, and have an unforgettable adventure, in the Winter months. Without the bustling tourists of the Summer months, it will be a lot easier to enjoy the extraordinary views, and unbelievable architecture. 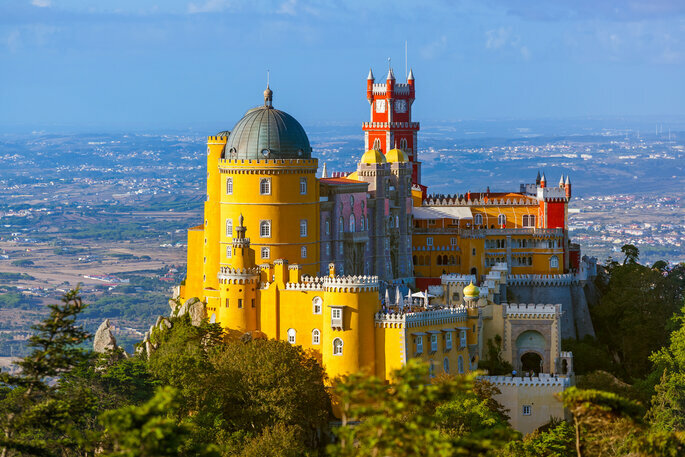 The Pena Palace is the most important attraction in Sintra, but this small city also boasts the Quinta da Regaleira, the National Palace of Sintra, the Monserrate Palace (a very popular Destination Wedding location! ), and the Castle of the Moors. After the lower city was destroyed by the 1755 Lisbon earthquake, the romanticism and artistic architecture that had once seeped into every building was preserved in these historic locations. A truly magical experience, there could be no better place to spend the Winter. 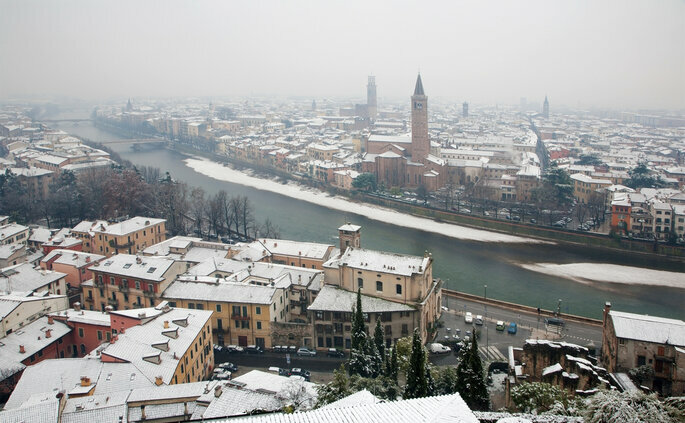 The setting for the romantic tragedy Romeo and Juliet, Verona is a charming town that becomes even more enchanting with the arrival of Winter and its bright white skies and cool evenings. Situated at the foot of Mount Lessini, in Winter the temperatures drop considerably, and although it only happens on occasion, the Veronese streets welcome snow with open arms – helping to make this beautiful Italian city truly picturesque. The Scaligero Castle (built in the 14th century), the House of Juliet, the Arena Ampitheatre, and a Roman Theatre from the 1st century all form a part of the impressive architecture that allowed Verona to receive National Heritage status, with many of its features more than 2,000 years old. Discover the legendary Pandoro cake, go horse-riding, and check out the BodyArt Winter Festival whilst you’re there. 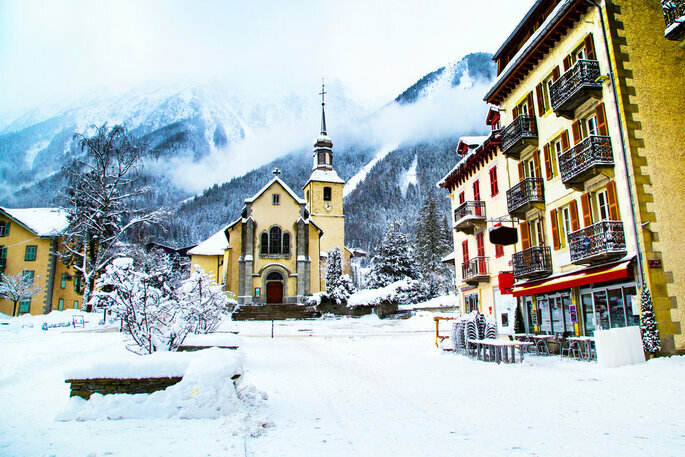 A city that belongs within a snowglobe, with tiny colorful houses, pearlescent streets, and magic tangible in every step you take, Chamonix is the perfect place to escape to for the Winter months. At the foot of the incredible Mont Blanc, there are plenty of opportunities to go mountain-hiking and skiing – but just as many to stay in the town centre and enjoy a hot chocolate and a traditional French pastry. The ambience created by the mountains is mystical and enchanting, and there is a real community culture in this small town, with residents amongst the friendliest in France. Far away from the rest of the world, get lost in among its streets in your Christmas dream that lasts throughout the Winter. Uniquely located in the Valley of Inn, in the middle of the Swiss Alps, Innsbruck has become a popular tourist destination for the Winter months due to the vast amount of sports available, with particular emphasis on skiing. The Patscherkofel mountain is one of the biggest of those in the surrounding area, with trekking routes to explore. In turn, the outskirts of the city are brimming with beautiful vegetation and hidden lakes that are worth finding. In the middle of these undiscovered features are some of the most peaceful places in the whole world. Nature manifests in its maximum splendor, creating an atmosphere that will make you feel the only person in the world. Looking like a town from the front of a postcard, this romantic city is made even more attractive by its incredible location. Drawing inspiration from folkloric traditions, this place’s food, culture and architecture is homely and inviting – it is primarily accessible via train, meaning that its strong sense of tranquility is rarely disrupted. Segovia is the one of the smallest, and yet most charming provincial capitals in Spain. 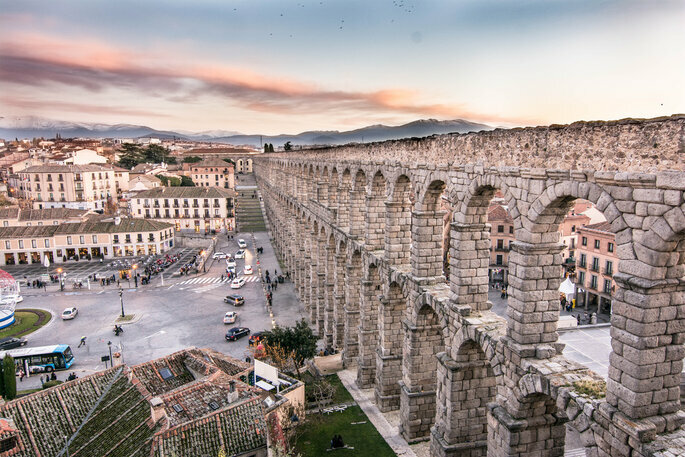 Although many Spanish cities are imbued with Roman relics, the aquaduct of Segovia is one of the most important historic monuments in the entire country, and a hotspot for tourists and their cameras. However, Segovia has other important features, such as the Old City which, alongside the aquaduct, has been recognised by UNESCO as a World Heritage Site. Additionally, spaces like the Cathedral, the Jewish Quarter and Alcázar are irrefutable proof of the cultural and historical wealth of this small city. Apart from the excellent architecture, the Valsaín Forest and Natural Park of Peñalara, coated in a thick layer of snow in Winter, create a true sense of beauty and splendor for residents and visitors in the latter months. Lechazo, a traditional Segovian dish, is the perfect accompaniment to a Winter trip to this charming place. 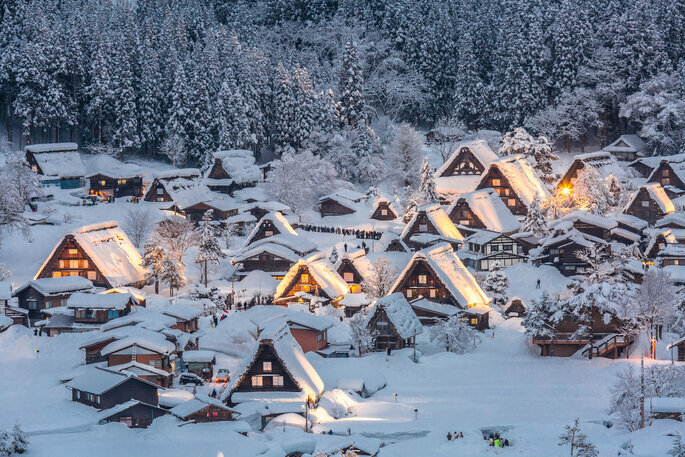 This Japanese fantasy increases its beauty tenfold in Winter, when a white blanket envelops the streets, houses and the mountains that act as guards of this picturesque town. The gassho-zukuri architectural style, which manifests in the triangular roofs of the buildings, makes this town one of the most beautiful in the Shiroyama region. The Shogawa River is an awe-inspiring attraction in the late-Winter/early-Spring months, particularly during the weeks when it defrosts and transforms back into a flowing stream through the middle of the town. The Doburoku Festival Museum and the Shirakawa Hachimangu Shrine can be visited to learn more about the Japanese culture and the area, but you will be able to feel it in your bones as you explore this completely distinctive place. 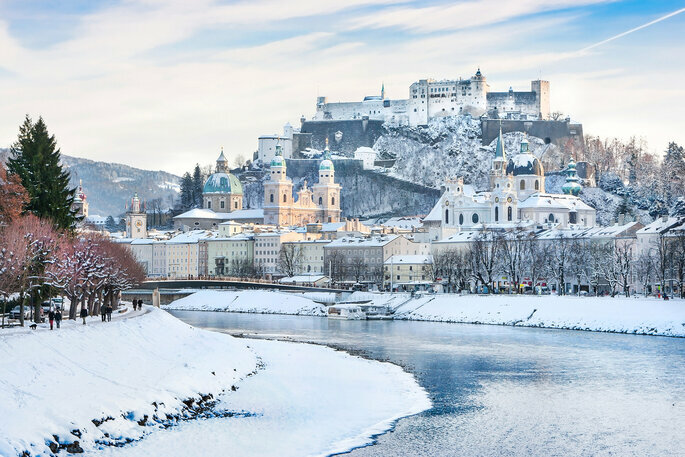 The city where Mozart worked and performed some of his most memorable concerts in the Winter season, Salzburg is brimming with life and culture at all times of the year. Another on our list that is categorized as a World Heritage Site, this is perhaps the best place in the world to spend Winter for its panoramic views of the startlingly beautiful Vienese landscape, and its mixture of tranquil, undisturbed countryside, and bustling town squares and streets. In Salzburg, you can visit Mozart’s house, as well as several buildings from the Middle Ages, the Romantic era (1800-1850), and the Reniassance, which have transformed the city centre into one that is made up of many different eras. 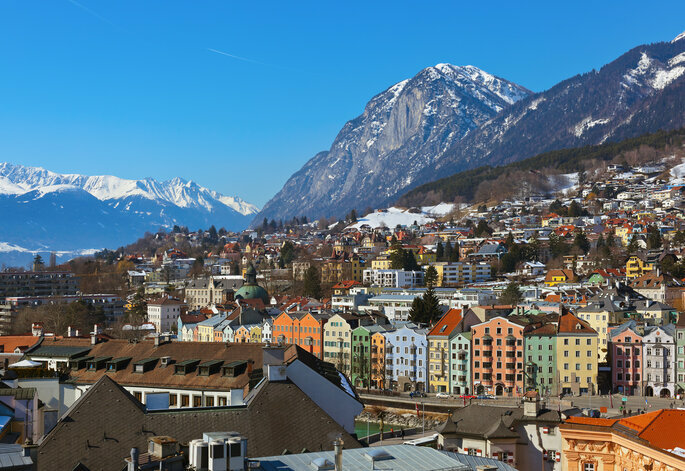 Although the bigger attractions have a special draw, such as the Hohensalzburg Fortress, smaller and newer features like the Getreidegasse – a commercial street, like Bond Street in London, or Gran Vía in Madrid – are the truest representations of Europe. 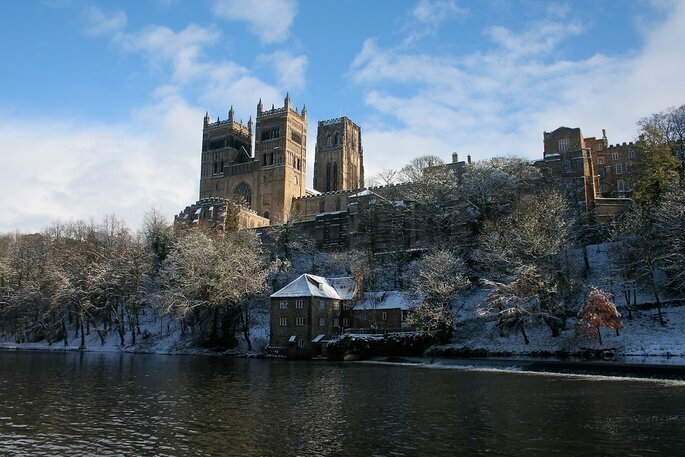 Located in the North of England, and just a short train ride from Scotland, Durham in the snow is really something to brag about. A beautiful town in and of itself, with Medieval influence and infamous stone buildings and cobbled streets, in the Winter, its beauty grows until it reaches the point where everywhere you look will leave you with your jaw dropped. Ice skating is a popular activity in this English village during the Winter months, as is the consumption of boiled wine and other warm drinks in the most authentic taverns that you will recognise from British literature. The city is famous for its impressive castle, and its university is also worth checking out during a visit. Full of tradition, Durham is the ideal destination for a Winter break – during December, the route of the Polar Express is also recreated for you to travel on! There are many more towns and small cities in Europe that would make a perfect hideaway in Winter, but these are some of our absolute favourites. Which one will you choose?